I’m always up for learning about history. After reading Killers of the Flower Moon by David Grann, I am really shocked this was never talked about in school. I will do my best to not spoil the book, but is it really spoiling it, if it actually happened in real life? I am talking about the Osage tribe, back in the early 1900s. The FBI got involved when members of the tribe had been murdered. With as many deaths in the tribe, I feel like we should have learned about this. It was also sad to read about these killings. To see it through the eyes of those who saw their loved ones killed to even the descendants having the memories of what happened in the past. When going into the book, I thought there would be more of Hoover in this. After all, he is one we all learned about in school. If you didn’t learn about him in school, you learned about him in some other way. The book follows Tom White as he tries to find out who is responsible for all the deaths. Tom White is one I never remember learning about. I felt so bad for Mollie Burkhart. She lost her loved ones because of these killings. She wasn’t the only one, but we got to see more of her sufferings. And compared to others, this hurt her the most. After the tragic events and to go through all this? Knowing what your husband did? How others in the tribe saw you? You do learn what became of those who were responsible for the deaths. Why am I not surprised they did get away with it in some ways. They should have been punished a lot worse than they were. I know it was the early 1900s. When you think about it though, there are still many who can get away with it and not get the punishment they deserve. I could go on about this book, but that could make this post a lot longer. If you want to discuss more of it. Please feel free to comment below. Especially, if you have read it. I’m definitely interested in reading some more from this author. Please check out this book. It’s definitely a topic that should be in the history books. First off, thanks to NetGalley for giving me the chance to read this. Also, I have to admit when I saw the book, I got so excited for a book on dragons. I didn’t even realize it was a drawing book also. 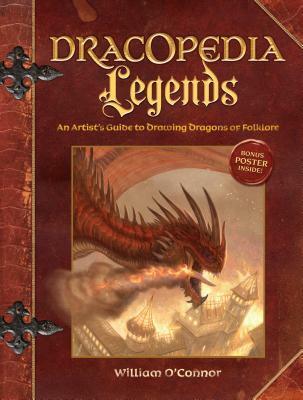 So I had to request Dracopedia by William O’Connor. I would give this book a four out of five stars. Why not, five? Maybe because I’m not an artist. I’m lucky if I can draw stick figures. I did find it interesting though. I don’t think I could ever get to the point where I’m drawing online, but it would be fun to get in the habit of maybe drawing dragons by hand. Maybe, I can find a beginner’s book and work my way up. What I did get to enjoy were the different legends that were told throughout the book, that went along with drawing the dragons. Which legend was my favorite? I don’t think I could pick just one. I enjoyed reading them all. I’ve always loved dragons, so reading about dragons I never even heard of? It was entertaining. Even if you don’t draw. I think you would enjoy the book. Rather, you’re a fan of drawing or fantasy. You will enjoy the book. The drawings were so nice to look at. Knowing someone could draw like that, amazes me. I wish I had that talent. The book comes out tomorrow. Check it out. Small Great Things by Jodi Picoult has been on my TBR for awhile. I finally managed to read it thanks to book club. On Goodreads, I gave it a four star. I wish you could do half or quarter stars. I feel like this one should have been more of a 4.25 rating. 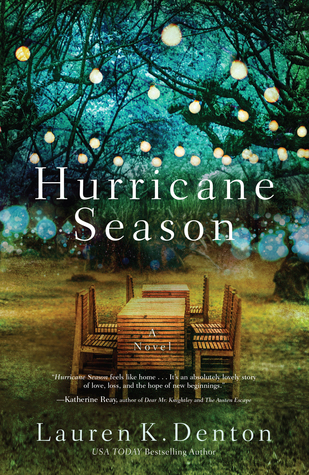 This would be my second book by Jodi Picoult. I read My Sister’s Keeper and I remember crying when I picked it up. I wondered if the same thing would happen with this one. I didn’t cry, but it definitely kept my interest. We have three characters we follow throughout the book. I would say Ruth, is the most important. Why you ask? We follow her life as it changes from good to worse. Ruth is a nurse that helps deliver babies. One day she is confronted with something that changes her life forever. All because of a request by a patient. Due to consequences and not obeying orders, not only she is affected by this. But, so is her son. Ruth was a very in depth character. Picoult I felt, wrote her so well. Reading her point of view makes you think. I’ve never been in that situation. What Ruth is going through, is unfortunately an issue that is going on today. You see it on the news and in person. To be put into Ruth’s head made me think even more. I’ve seen plenty of it on the news and out in public. But, to read the thoughts? I think it helped me look more into the eyes of whats going on. Guarantee, it is a book and I know it’s fiction. But, it does help. I did like Kennedy, Ruth’s lawyer. But, not much to really say about her. She was like me I guess in a way. Where you think you know stuff, but you don’t always know everything. Turk, is the third point of view. Could not stand his character. Unfortunately, I see many people like him in reality. People who only see one way and refuse to open their eyes to the world. If there was one thing I would have liked to see with his character? It was more of an ending. I feel like Picoult wrapped up his character too fast. I know the epilogue takes place six years later and technically, she did the same with Ruth. But, I felt with Turk. We could have had a little more. I don’t want to go further into it because that would spoil it. I want to say so much more about the book, but this is one you’ll want to read for yourself. It covers an issue that is going on in our world and will make you think. If you have read the book and want to discuss more. Please find me on Facebook on my page. I would love to discuss this. If I get enough people, maybe I can create an event for it.